Once upon a time, there were two obsessed foodies who met and fell in love. While they grew in love, a business bloomed up around them and sprouted from the ground up foods fresh and tasty. They were the luckiest in both their life together and their business, and so with all this luck and love-they knew from the start they were meant to be. So when Rad asked Christina if she would marry him, she of course said yes. You can read the story of the proposal here. 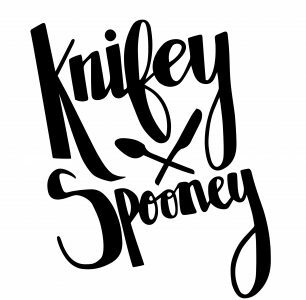 You can read the full love story of ‘When Knifey Met Spooney’ here. Previous Post We’re in a magazine, ma!